27-year-old fashion designer Soo-Jin (Son Ye-Jin) goes into a convenience store to buy a Coke, but accidentally leaves it on the counter. 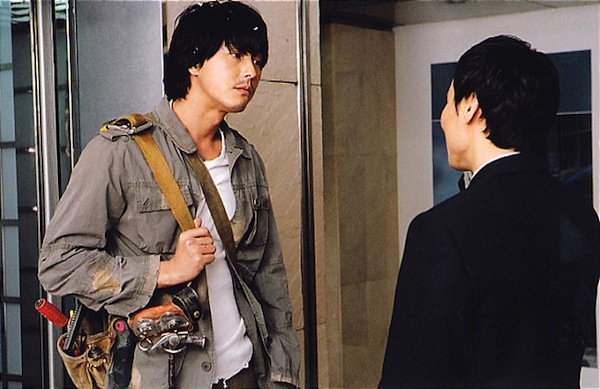 Remembering the Coke, Soo-Jin walks back to the store and sees a man (Jung Woo-Sung) walking out of the store with a can of Coke. Soo-Jin, believing the drink is hers, snatches it from the man's hand and downs the drink in one gulp. Later on the bus, Soo-Jin remembers that she also left her wallet at the convenience store. When goes back to retrieve her wallet, the clerk hands her the wallet and the can of Coke she left behind. Ooops. One day, while surveying a construction site that her father is in charge of, Soo-Jin sees the same man she mistakenly believed took her drink. The man's name is Chul-Soo and is he the foreman at the construction site. Soo-Jin begins to fall for Chul-Soo and begins to woo him. A relationship develops and Soo-Jin and Chul-Soo eventually marries. Life seems great for the couple, but Soo-Jin's forgetfulness worsens and she soon learns she a rare form of Alzheimer’s. Noni Feb 02 2019 10:01 pm How can you not fall in love with Son Ye Jin after watching this movie? Jacqueline Mar 17 2018 6:43 pm Cant sleep after watching this movie. Very heartfelt and so worth it watch for. Ana Oct 07 2017 1:02 am One of the most beautiful and romantic movies I've seen..Can't stop the tears from falling. .This is love, in its purest form. Sayyy Dec 02 2016 11:52 am One of the greatest movie I've ever watched. I don't usually watch 'drama' because I hate tragic but I'm so lucky that I tried to watch this. There are funny scenes and ofcourse a heart-breaking moments. But all in all it's so great. I will surely rewatch this soon. Migthy Thor May 05 2016 8:37 pm WOW! This movie is really really super-duper WONDERFUL movie! I have watched this movie over 10 times and still can't get over it! 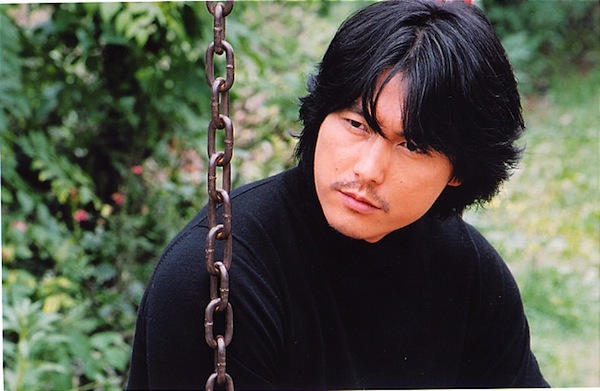 Jung Woo-Sung is really really so HOT! I highly recommend this movie! Two thumbs up!! jenny May 04 2016 2:21 pm One of the most Saddest drama I'll never forget..cried a lot with this! Beautiful written drama! Shoaib Nov 01 2015 3:36 pm This is an epic! yleeee Apr 25 2015 5:47 pm CRIED SOOOOO MUCH!! Amazing movie, totally loved it! Josephine Apr 13 2015 7:36 pm This drama is worth watching. Great chemistry between leading actors, great directing and dialogue. Pee Mak Mar 24 2015 7:36 pm Wonderful movie. SYJ Oct 31 2013 9:13 am One of the best Korean movies. Period. 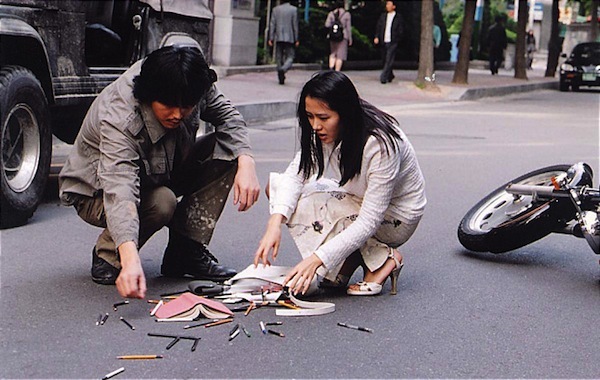 Standing there with Kim Ki-duk's "Spring Summer Fall Winter...", Park Chan-wook's "Sympathy for Lady Vengeance." . . .
Watch this a few times. JH Jun 19 2013 11:31 am This is my #1 korean movie. Thank you for beautiful and touching story, great directing and acting styles. Love SYJ and JWS's chemistry. They look wonderful together on screen. I hope SYJ will have more movies like this. She portrayed this role beautifully. tht Apr 17 2013 7:24 pm This movie is soooo good...this is the reason why I am into Korean movies. I love both lead actors, especially Son Ye Jin. Beautifully done! Hannah Jul 08 2012 8:59 pm Super Like this movie,. it made me cry.. wheew!! sassygirl989 Jan 07 2012 10:45 am cried a river with this movie.. T.T but i soo love it~! non sibi May 11 2010 3:31 pm B. Kim, what an inspiring experience of you and thank you for sharing it here. Yes, I agree with you, life is a gift. We have to live life and follow our dreams. I hope that you have finished your film school successfully and now you are working to pursue your dreams. Haeng-un-eul bil-eoyo and cheers.